How Do I Find a Dentist in Long Island City I Actually Like? Everyone has a different concept of who their ideal dentist is, but we can all agree on one thing: you want to visit a dentist that you actually like. 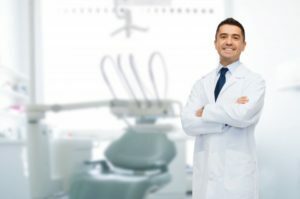 Whether you are looking for someone relatable or someone that will get you in and out of the office as fast as they can, read below to learn some tips on how to choose your ideal dentist in Long Island City. Figure out what TYPE of dentist you need. Do you need a family or pediatric dentist because you have kids? Or maybe you need a periodontist because you have issues with your gums? Think about you and your family’s specific needs before settling on a dental office. Ask around for recommendations. Asking trusted family members or friends what they recommend could be an easy way of finding someone you like because you and your loved ones probably have similar opinions. Look at online reviews. Reviews can be a great way to gain insight on the specific experiences people have had with their dentist. Visit the dentist. Even if you just walk in and out of the office, visiting the dentist can put you at ease and ready you for your appointment. Many offices are happy to schedule patients for a tour with a team member. It can also be a way of seeing if you like the office environment and ambiance. A clean office space: Make sure your dentist’s office is clean. If you walk into an office that looks dirty or unorganized, what does that say about how they will care for your oral health? Flexible hours and scheduling: Whether you are looking for an office to be open on Saturday, or one that stays open later than 5:00 p.m., think about your daily schedule and pick your dentist based on who you think will be most accommodating. Shorter wait times: A good dental office keeps a tight schedule and short wait times. Of course there are exceptions with possible emergencies, but if you are experiencing long wait times, it could mean that your dentist doesn’t value your time or they are disorganized. Gets to know his/her patients: A good dentist should remember your name and specific dental issues or treatments you dislike. If your dentist actively listens to what you say, asks follow-up questions, and chats with you about your personal life, you will feel better taken care of. Finding a dentist that you like is subjective, but you can use our tips as a guide when looking for a new one. Hopefully, you’ll discover an excellent practice that becomes you and your family’s oral health care home for life! At Long Island City Dental Associates, we have a team of 5, highly trained and skilled dentists that have specialties in cosmetic, pediatric, periodontics, and implant dentistry. They all believe in personalized, comprehensive, and quality care. Our office is a clean and welcoming environment for any type of patient. If you have any questions or comments, our dentists can be reached by phone at (718) 530-6539.